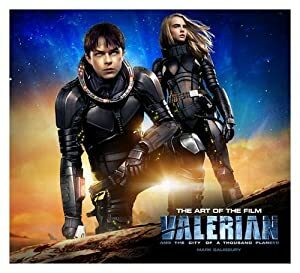 “Ralph” is a space alien who appeared in several Valerian, Space-Time Agent graphic novels. He was first featured in 1984, in the The Ghosts of Inverloch graphic novel. 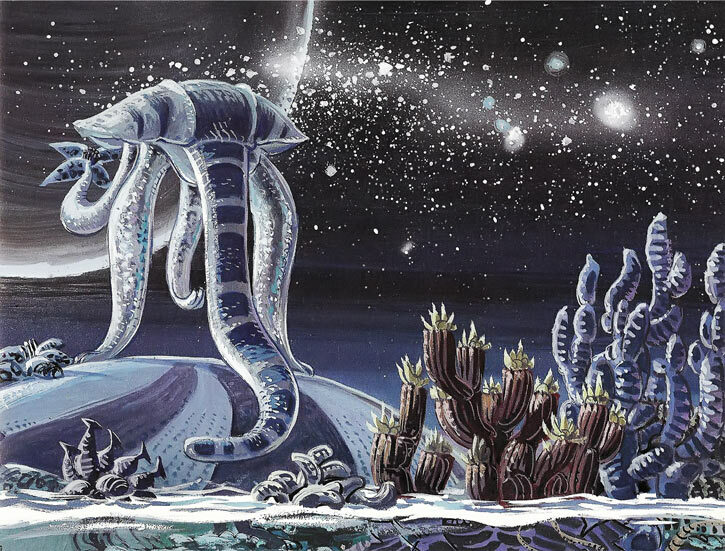 Glapum’t is a mostly aquatic planet with an Earth-like atmosphere. It has a pleasant environment, but isn’t famous and is difficult to locate and reach. 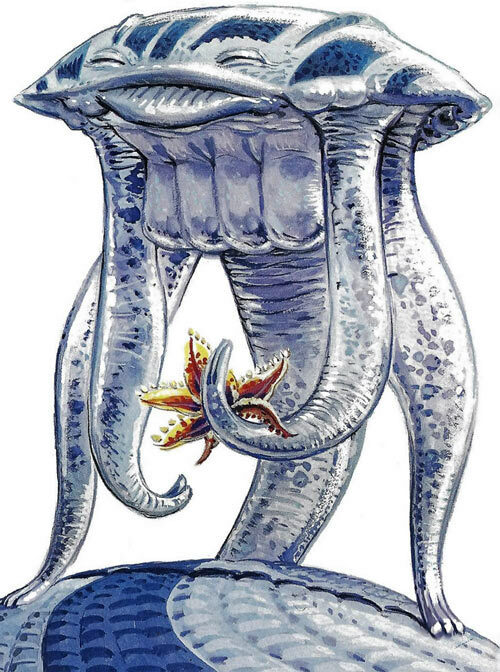 It has a single sapient species, simply called the Glapum’tians. Though friendly enough, they keep their world out of commercial and touristic paths so as to be left alone. The lack of astronavigation facilities likely is what makes Glapum’t hard to reach. This amphibious, placid species all live in their own small corner of the planet, and have essentially no history. The flora and microfauna on their world is both abundant and succulent. So mostly they lounge around, and eat. The high quality and quantities of food seem to have shaped both their equable cultures and their extraordinary brains. Most of the time Glapumt’ians stay alone close to the place of their birth. Most like to watch the unusually complex array of planets and moons in their solar system, plus the visible stars. Many of them also tend to a personal garden to grow even better food. One suspects that they are a rather long-lived species. One Glapumt’ian, who decided to go by “Ralph”, appears in the graphic novels. In The Ghosts of Inverloch, Valérian is sent to Glapum’t to kidnap a specimen. Though he is reluctant to do so and this is a difficult pursuit, the STS agent is eventually successful. The Superintendent of the STS explains that he needs the services of a Glapumt’ian as part of his plan to discover who made the Earth vanish. The kidnapping was because Glapumt’ians never offer their services or want to move away from their turf. Though annoyed at having been kidnapped, the placid Ralph agrees to help the STS save the Earth. That he discovered that Earth flowers (especially orchids) were tasty helped. As the Superintendent had planned, Ralph was invaluable in intercepting a scout ship from Hypsis. First, he gathered intelligence from orcas in the Arctic, as they had seen the scout ship masquerading as an Earth sailing ship. Second, when exposed the Hypsis vessel repeatedly jumped through time and space to lose any pursuer. But computing where and when it would reappear was trivial for Ralph. This is how the elusive planet Hypsis was found at long last. “Ralph” was present when the Humans confronted the “holy trinity” on Hypsis. After the case, Valérian and Laureline returned him to Glapum’t. Some years after Ralph’s first collaboration with the Space-Time Service, the Rurks came to Glapum’t. Like the Shingouz, these are a species specialising in a high-margins industry to meet their needs. In the case of the Rurks, they dominate the computation-for-hire market. They run massive, sophisticated servers farms. It is generally cheaper and easier to outsource big maths projects to them. The Rurks were jealous of the Glapum’tians. That was even though this represented zero competition and very few people even knew about Glapum’t. They came with a computation starship to challenge the locals to a numbers-crunching contest. Since nothing ever happens on Glapum’t the locals had little idea of what to do. They warned “Ralph”, since he had had prior contacts with aliens. Ralph did understand the situation, and took the challenge. He handily won. He then helped the Rurks do the astronavigation computations for their flight back to Point Central, since their systems had badly overheated. Having processed the concept, some Glapum’tians made arrangements of foods as an edible trophy for the victor. During the war to save the universe from the Wolochs and their Order of the Stones, Valérian and Laureline summoned all their allies. They sent the other last remaining STS agent, Jal, and Princess Kistna to fetch Ralph. Valérian had Jal bring some navarin d’agneau aux petits légumes a French lamb stew recipe guaranteed to hold the Glapum’tian’s attention. After eating the navarin, Ralph again agreed to help. Valérian and Laureline assembled a large and heteroclite fleet. But after taking off everybody dispersed. Ralph computed on the fly complex trajectories for every single vessel. It would allow all vessels to reunite just in time. But to outside observers, their movements made no sense. Thus, nobody even realised that there was a fleet. This was essential to prevent the Wolochs from reacting in time. While the assembled allies activated the Time Opener artefact, Ralph again boarded Kistna’s ship. He reconstituted the trajectory of the roving planet Hypsis, making it possible to visit anew the elusive “holy trinity”. Jal and Kistna forced them to have Hypsis make another jump, blindly following a new set of vectors computed by Ralph. This swapped location between Galaxity’s Earth and Hypsis. Earth was restored, and Hypsis trapped instead of it within a black hole. Ralph was presumably then returned to Glapum’t by Kistna and Jal. Glapumt’ians are amphibious beings. Though they usually move in a slow, lazy way, they actually have amazing reflexes and agility. In particular they swim with remarkable manoeuvrability, and can do the same in the air if given a means to fly. Glapum’tians have an enormous brain (nine kilos or more) with an extremely complex structure. It also contains various rare compounds from their food, including at least one used in dangerously potent intellect-enhancing drugs. Though they don’t advertise it, Glapumt’ians can thus run mental computations that leave even the best computer servers farm in the dust. And they don’t have heat management issues or power requirements, either. The first is analysing languages and reverse-engineering how they work as they read or listen. This is seldom done since so few aliens come to Glapum’t, but they seem to like doing it. Glapum’tians can become fluent in any language with ease. If there existed a way to instantly perceive the entire corpus of a language, they would be fully proficient within femtoseconds. In practice, they need a little more time to read, have people talk to them etc.. The second is perceiving trajectories. This seems to derive from their observation of celestial bodies on Glapum’t. Looking at an object in motion, a Glapum’tian will instantly calculate all data of interest. For instance, a Glapumt’ian glancing at a starship about to make an hyperspace jump can tell exactly when and where it will arrive, even if it is a complex jump requiring hours of astronavigation computers crunching. This works even for jumps through time. Another application is avoiding being hit by objects and many forms of energy. There is no known projectiles a Glapumt’ian cannot easily dodge. They fully and instantly understand its trajectory, and their incredible nervous system allows them to physically react within picoseconds. They can likewise calculate the trajectory of lasers from watching the barrel of the weapon, and reacting before the gun is actually fired. Somehow, Glapum’tians can exist unprotected in space for a while. They also seem able to spot extraordinarily distant objects, particularly in a vacuum. A minor application of their mental acumen is to sense distant movement by observing minuscule perturbations in the air or water with their super-precise eyes. There are implications that Glapum’tians have some sort of telepathic abilities, but they’re not telepaths per se. See illustrations. (Almost) no other Glapum’tian is seen in the main story, since they normally live alone. “Ralph” is exceptionally easy-going, polite and even-tempered. He is often sarcastic, but there is no meanness to it. It likely stems from being so much smarter than most non-Glapumt’ians around him. His main interest lies in tasting new foods. Almost any sort of vegetation or plankton is eligible, but he’s also interested in exotic fares such as meat. Ralph also discovered that he enjoys swimming in new oceans, and quietly meeting new people. It is possible that his uncharacteristic travels have been a life-changing experience for him. But then, his personality is so temperate that it’s hard to tell. In many ways, he comes across as a polite, contemplative gourmet tourist. On the other hand he doesn’t seem to have much of a notion of private property. It doesn’t seem to exist in his culture, since Glapum’tians only ever interact during mating season. Ralph is proud of his mathematical abilities, but without any hint of smugness about it. Dex: 06 Str: 03 Bod: 04 Motivation: None needed. Int: 08 Wil: 10 Min: 06 Occupation: None needed. Inf: 03 Aur: 03 Spi: 03 Wealth: None needed. Jumping only when emerging from the water at full speed. Speak with animals only with species with something approaching a language, such as some cetaceans. Split only to handle multiple simultaneous Mental Tasks having to do mathematical computation. Superspeed is limited to Mental Tasks having to do with mathematical computation, and to enhancing Initiative. Expertise (Gardening and horticulture), Scholar (Mathematics, Ballistics, Astronavigation). 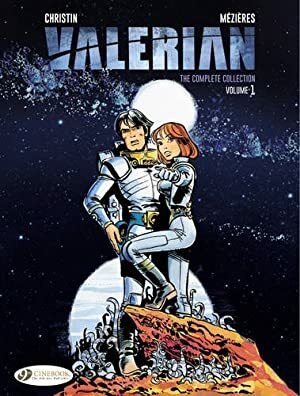 None needed (or desired), but “Ralph” can be considered to have a Low Connection with Valérian, Laureline and Monsieur Albert. Writeup completed on the 19th of May, 2017.